Scrappin' with DeeDee: I got an AWARD! 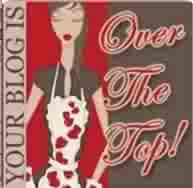 So one of my bloggy friends, Susan gave me this award! THANK YOU Susan! I am supposed to answer this LONG list of questions and then nominate 5 more blogs, but this award has been round and round and I think all of my favorite blogs have already done this, so I'm just gonna answer the questions and say this.....If you want the award for your blog, please take it! LOL! Okay, on to my questions and answers! 3. Your mother? So SWEET! 5. Your favorite food? Mexican...chicken fajitas to be exact! 13. Where were you last night? Sitting right here! LOL! 15. Muffins? My Mama's Tropical Dream Muffins - YUM! 18. Last thing you did? Went outside with the dogs...brrrrr it's cold out there! 19. What are you wearing? Sleep pants, shirt and a sweater. 20. Your TV? Is off. 27. Something your not wearing? A hat? LOL! That's it......me in 35 questions.....well kind of! LOL Did you learn anything you didn't already know? These kind of things are fun and funny! I really like them! THANKS again Susan! We visited a botanical garden yesterday morning. It was the perfect weather for it! 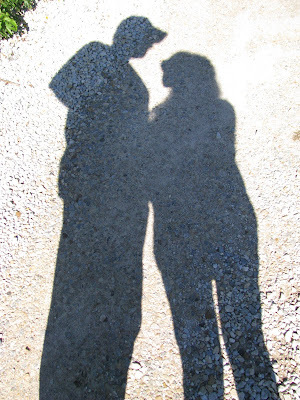 Here's a picture of the hubs and I.....it's our shadows! I was cleaning the screen on my camera and noticed my shadow on the ground and thought it would make a neat picture.....I know, I'm WEIRD! LOL! More pictures of our day HERE! I loved reading all about you, DeeDee..... You are special. Great post DeeDee! And fabulous pictures! I'm so glad you had a good time! Love ya bunches!! !